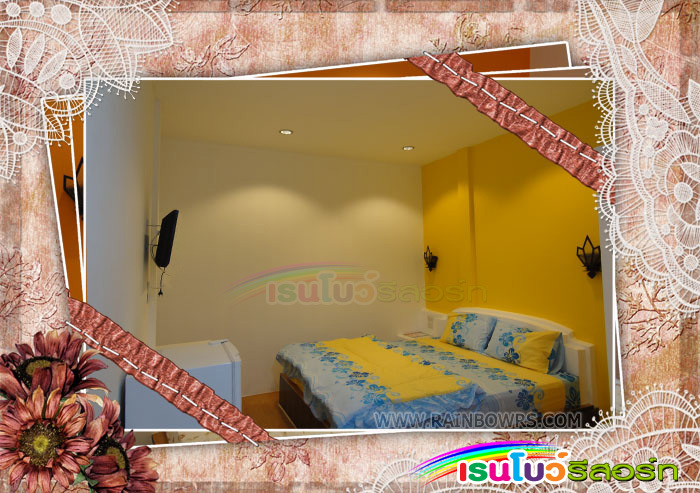 Rainbow Resort , Amphoe Phen, Udonthani, Thailand. Rainbow Resort , Tambol Banthat, Amphoe Phen, Udonthani, Thailand. Rainbow Resort is located on the right side of route 2022 (Udonthani – Phen Road) at the 3 kilometer distance stone which is 40 km or about 25 minutes drive from Udonthani international airport. Our resort has cheap, clean and beautiful 14 rooms & 2 resort cabins to suit your choice. Rainbow Resort has a swimming pool and a big beautifully laid out garden for our guests to enjoy a leisurely walk or a cool drink on a pool side. All rooms are fitted with modern necessities like televisions, refrigerators and hot water showers. Room services like internet,snacks, foods , drinks and laundry are available 24 hours. Use of swimming pool is free to our guests. Swimming suits and many types of swimming wear also available for rent.